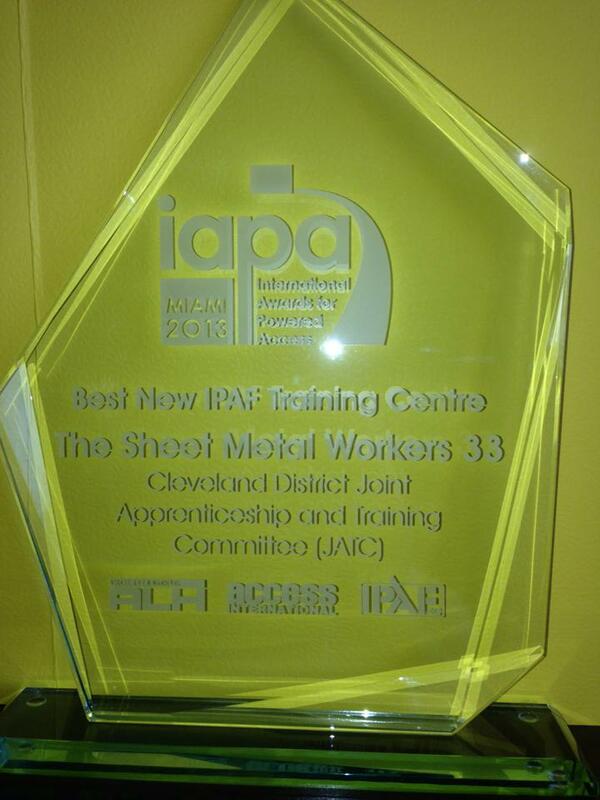 The Sheet Metal Workers Local #33, Cleveland District Joint Apprenticeship and Training Committee (JATC) was recently internationally recognized by the International Powered Access Federation (IPAF) as the Best New IPAF Training Centre of the Year. 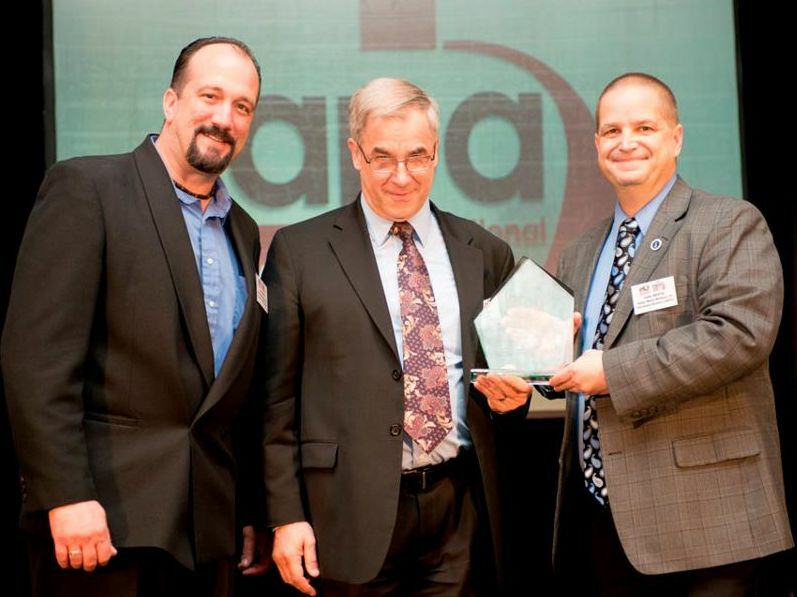 Our training center is the first of its kind in the U.S. to earn the distinction at the International Awards for Powered Access, which celebrates best practices and excellence in the powered access industry. Local #33 JATC instructors John Nesta and Rich Toth accepted the award on the Local’s behalf at the March 26th event in Miami. A hands-on study of scissor and boom lifts through American Work Platform Training (AWPT) is a prominent feature that sets Local #33 apart, as our Cleveland and Toledo JATCs are the only sheet metal worker training centers – and one of only 27 general training sites across the U.S – to offer the training. This unique training is becoming a very sought-after tool and will make the hard-working members of Local #33 more employable to contractors, especially on projects in the automotive industry, hospitals, plants and other commercial building where aerial lift licensing and safety is required. Sheet Metal Workers Local #33 trains our apprentices to enter the industry right away with the most up-to-date skills and knowledge available, while also upgrading the skills of our journeyman sheet metal workers. Visit our Training page for more information on our award-winning commitment to world-class education.